One of our fans requested we review Almased, so we were excited to take a peak at something new! 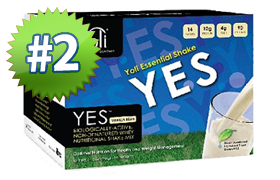 This shake contains 27 grams of protein per serving. While this seems like a slam dunk in the world of protein shakes at first, we quickly noticed that the serving size was a whopping 50 grams! This is nearly double the typical serving size for a protein shake. Why so large? Most likely this is because the ingredients are quite diluted, so in order to get nutritional facts where they need to be, you have to use twice as much powder. Of course, this means you’ll go through the container twice as fast and at $37.95 per container, it’s going to burn a hole through your pockets pretty quickly. Now on to the ingredients in this shake. The protein source in Almased is soy. 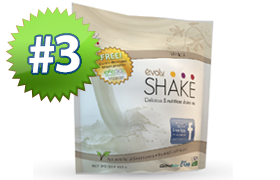 As most of you already know, we are not fans of soy protein shakes. 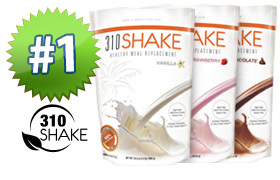 We’d much rather enjoy a shake that is made with a higher quality, safer protein source such as whey. Another concern we have about Almased is that it’s high in sodium – 340 mg.
We were glad to see, however, that Almaseed is sweetened with honey. Although there are 12 grams of sugar in this shake, more than we’d prefer, this is better than artificial sweeteners like sucralose, aspartame or maltodextrin. Have you tried Almased shakes? Let us know what you think!